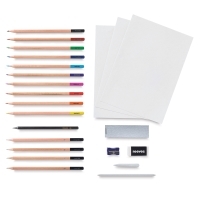 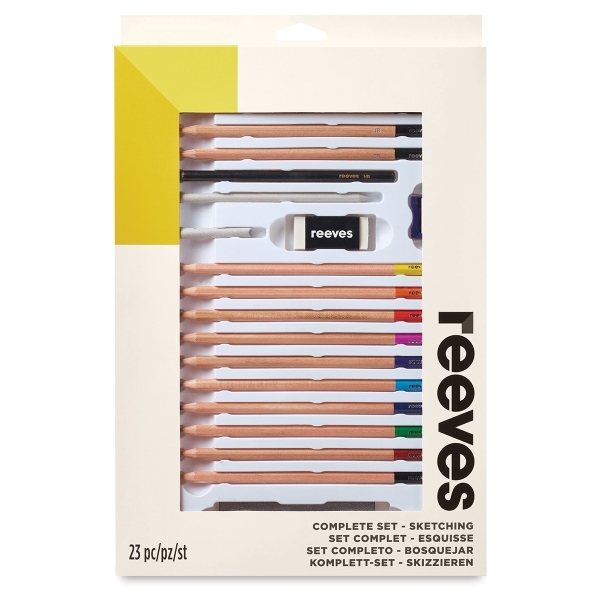 The Reeves Drawing and Sketching Set is an ideal gift for young artists because it includes a variety of high-quality drawing materials at a value price. 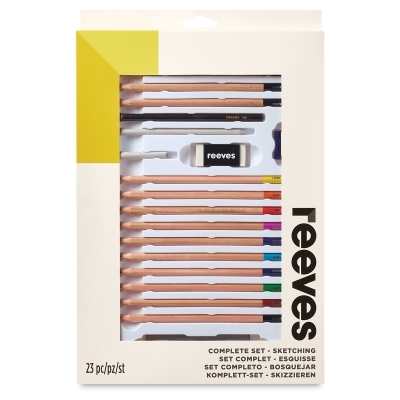 Included in the set are 10 Reeves colored pencils in brilliant colors that lay down smoothly and blend easily, and four Reeves sketching pencils in different degrees of softness that allow for a variety of shading effects and techniques. 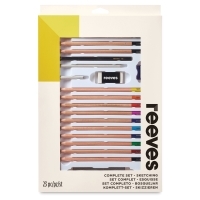 The strong leads in Reeves sketching pencils stand up to heavy marking and drawing pressure.